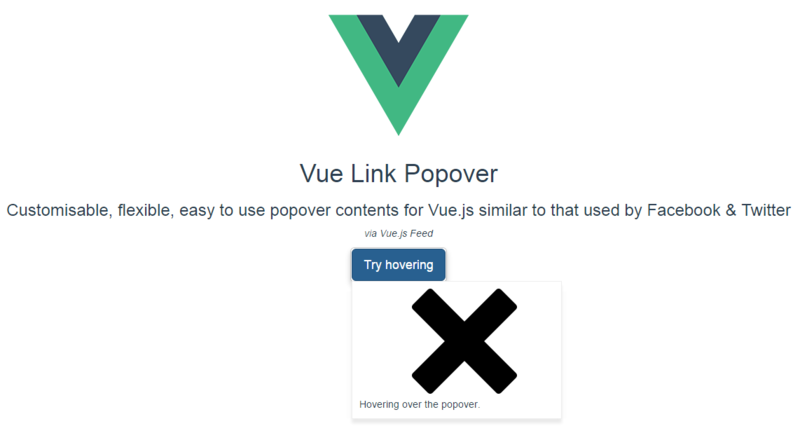 The VueLinkPopover component is an easy to use plugin for your Vue projects, to create popovers while hovering above elements or on clicking them. 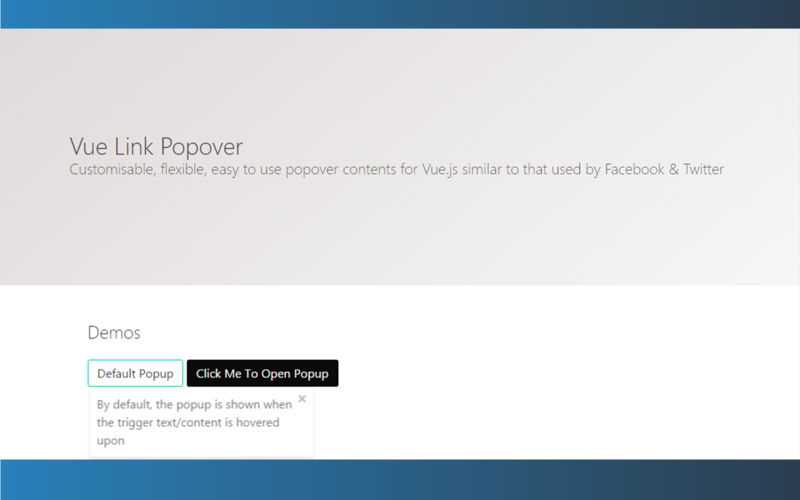 Customisable, flexible, easy to use popover contents for Vue.js similar to that used by Facebook & Twitter. You can visit the Demo page to see what is all about, along with some instructions. Follow this simple example to see how it works. Import it globally & register This also allows the passing of customization options such as transitionName & custom themes. By default, the popover shows when hovered upon, but you can change that to <link-popover click="true"> so it the popover will open only on click. The VueLinkPopover is available on a GitHub repo where you can find everything you need to get started.